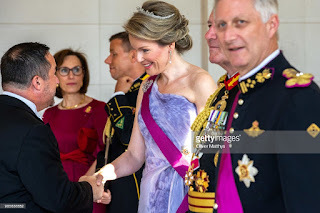 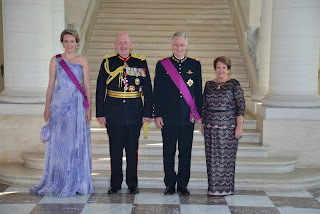 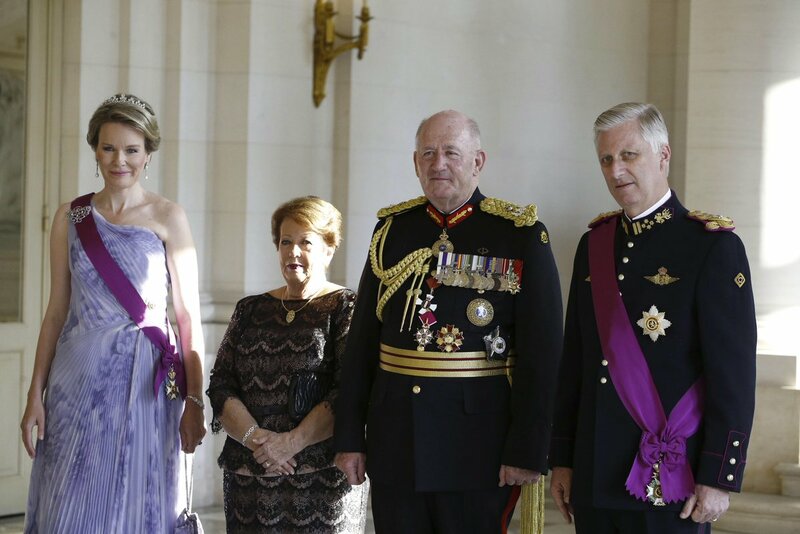 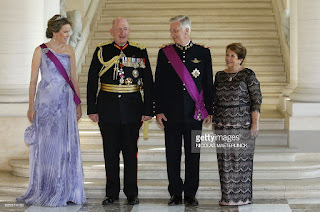 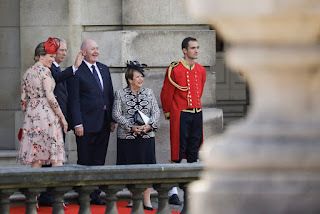 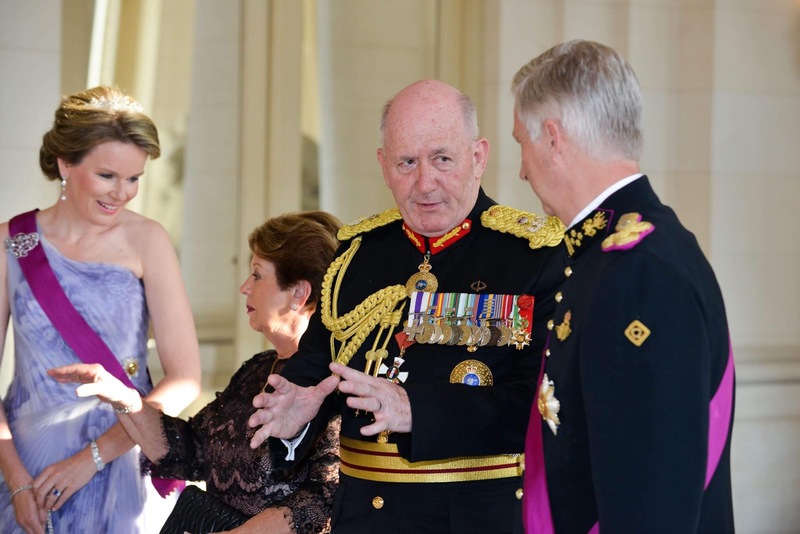 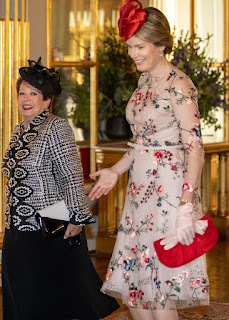 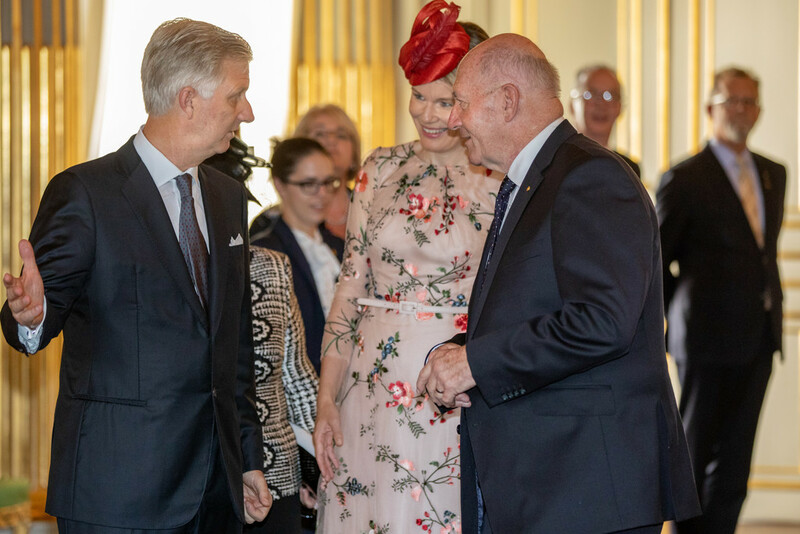 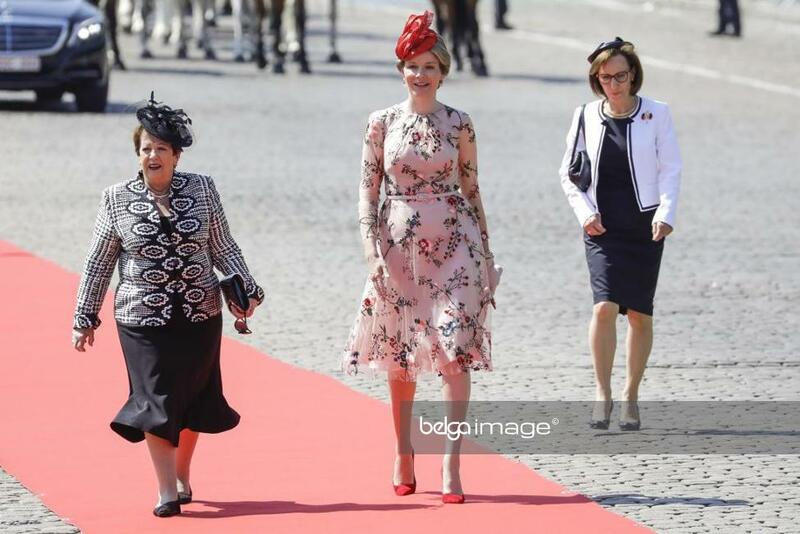 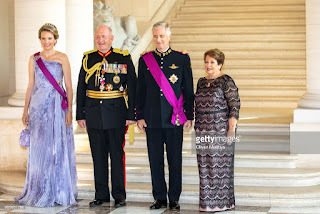 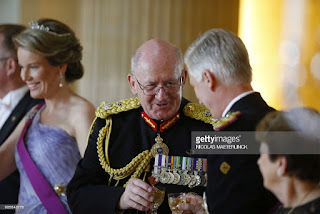 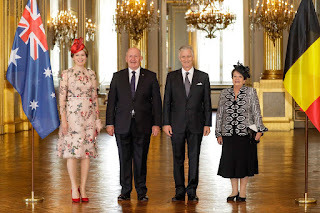 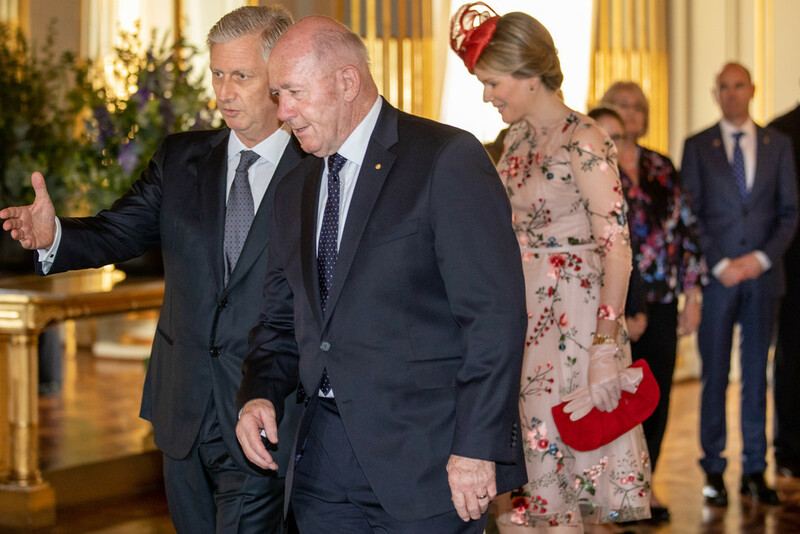 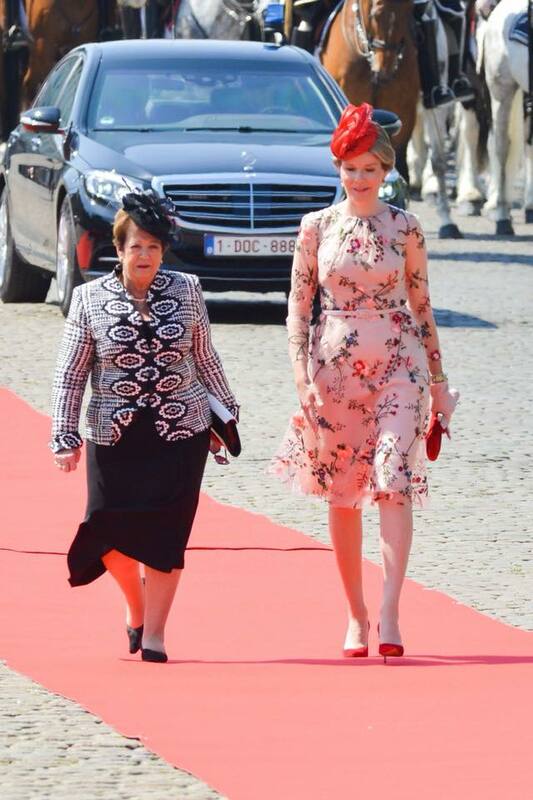 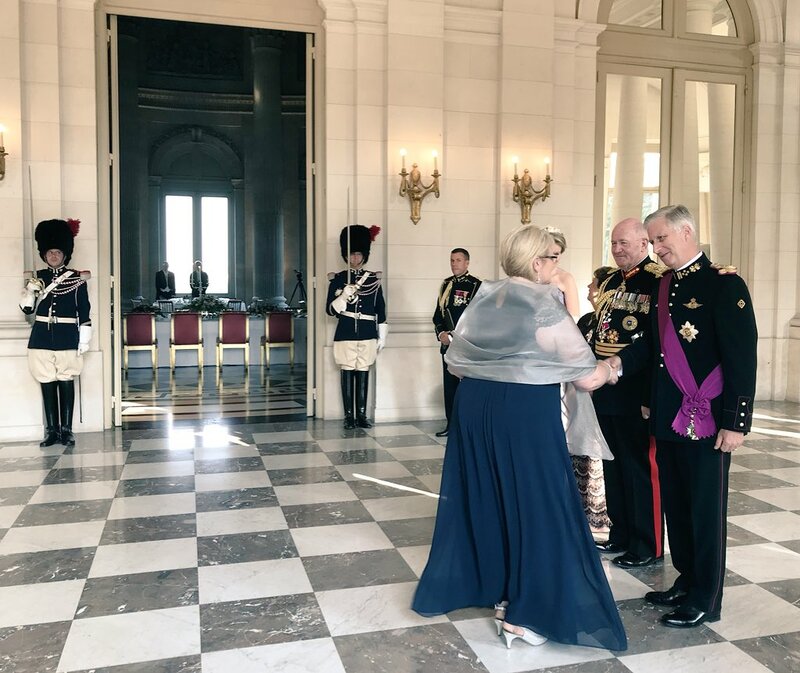 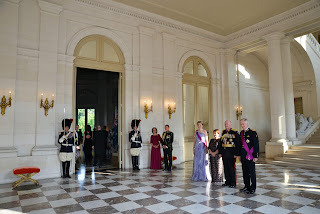 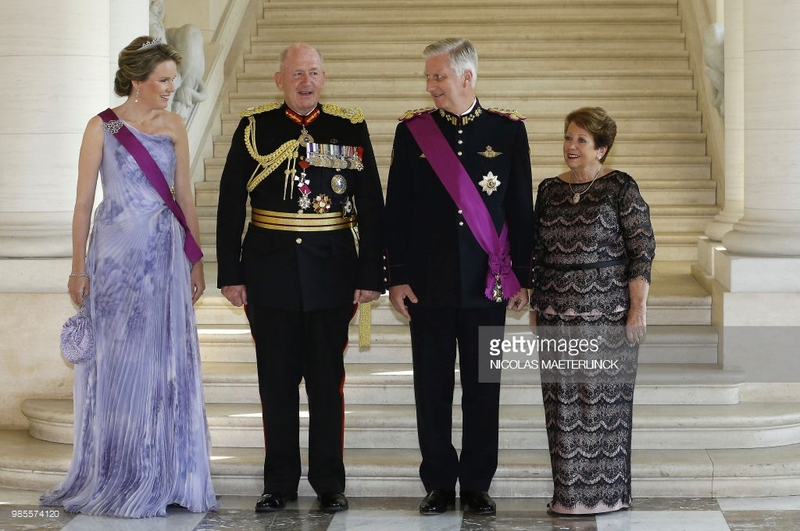 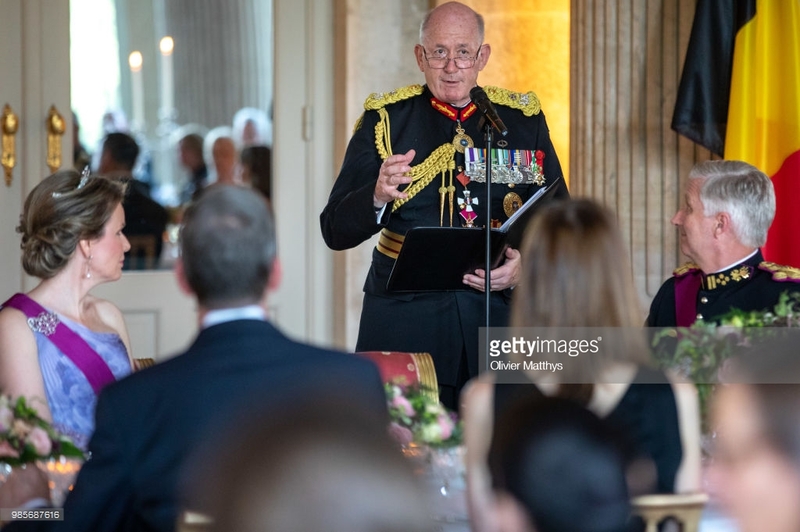 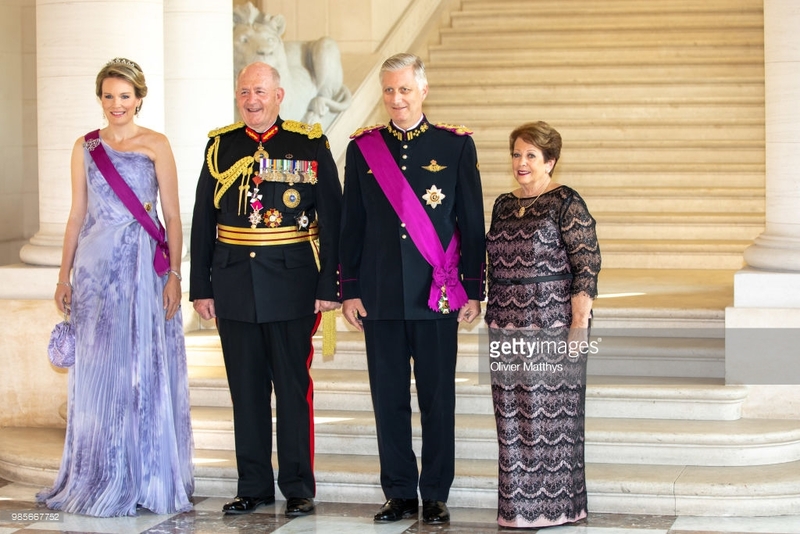 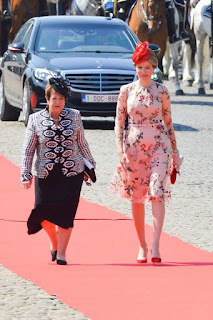 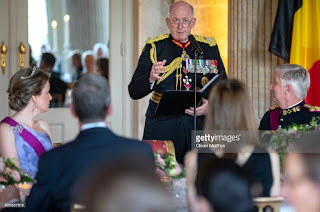 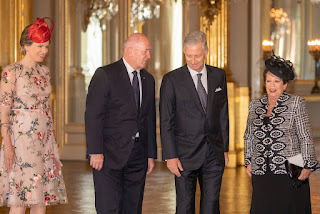 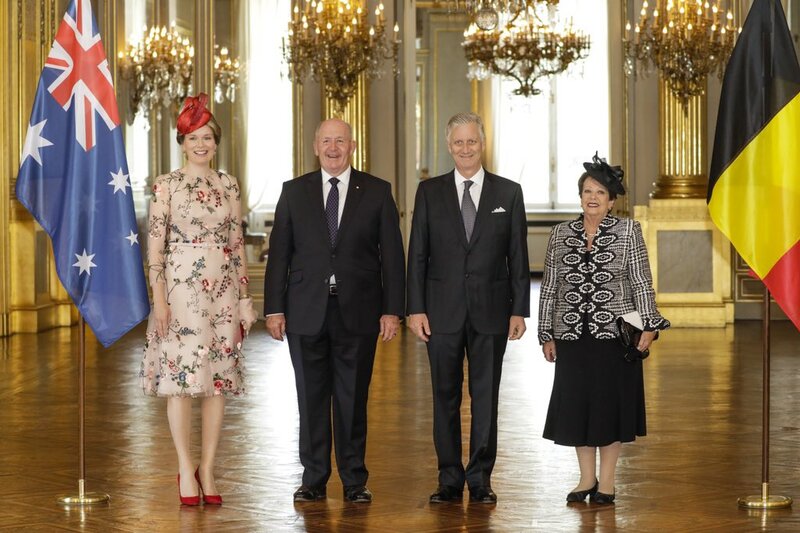 From the 27nd to the 30th of June 2018, the governor general of Australia, Sir Peter John Cosgrove and his wife are paying an official state visit to Belgium. 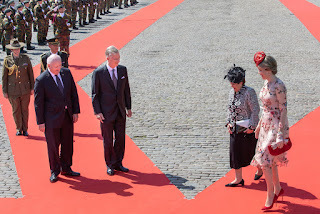 Welcome ceremony at the Place des Palais in Brussels. 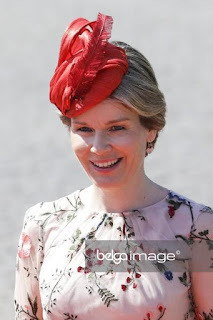 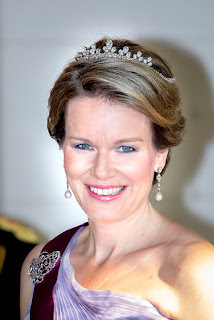 Baroness Patricia Vlerick acted as lady-in-waiting. 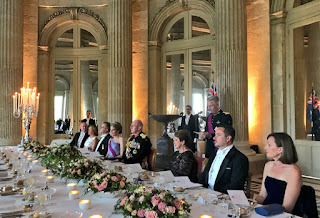 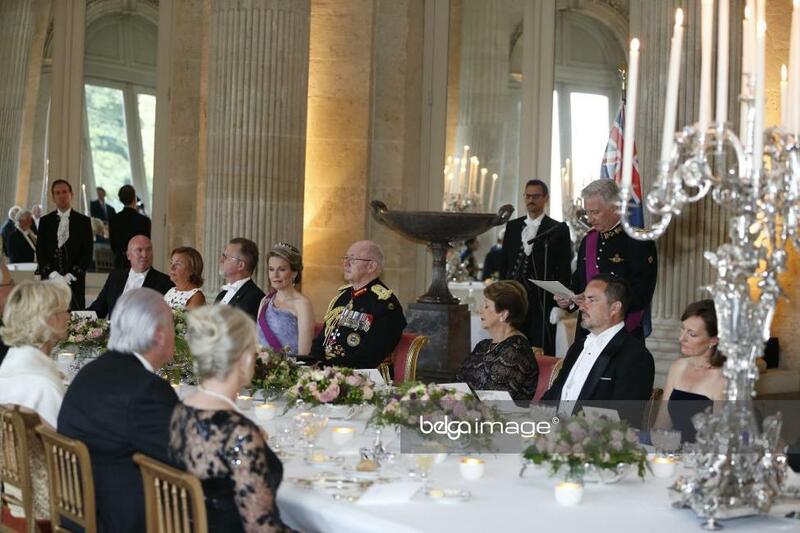 Gala dinner at the castle of Laken. 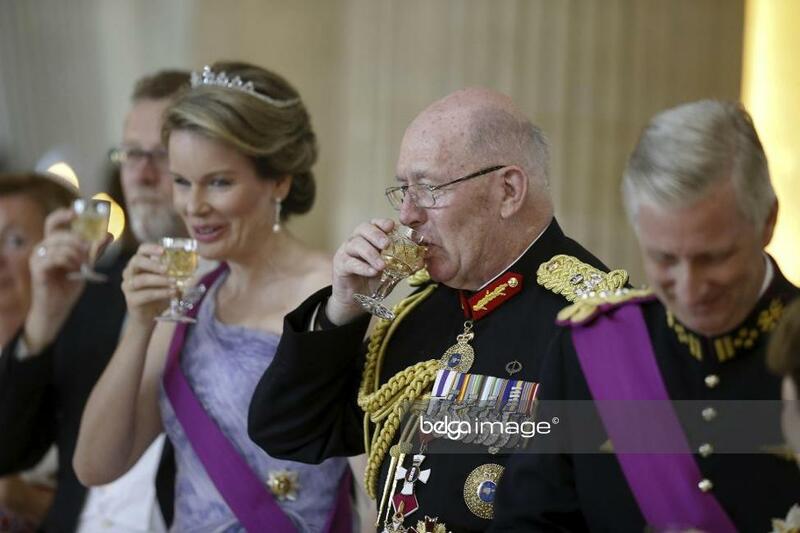 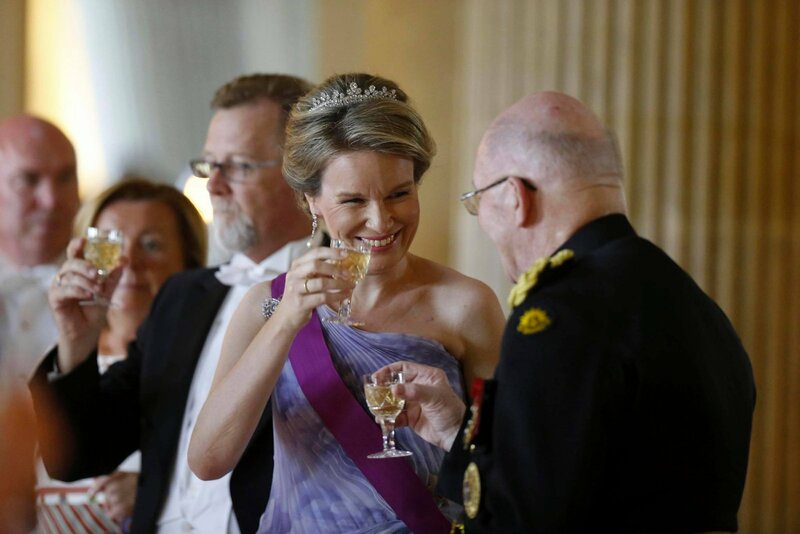 "Dames en Heren, mag ik u vragen het glas te heffen op de gezondheid van Hare Majesteit Koningin Elisabeth en van de Gouverneur-Generaal en Lady Cosgrove." 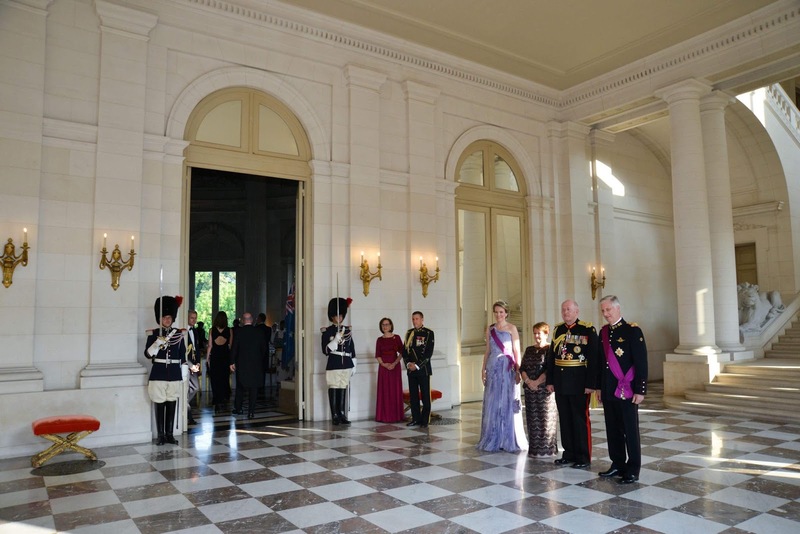 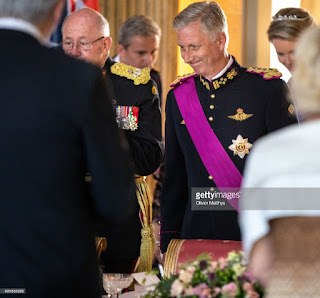 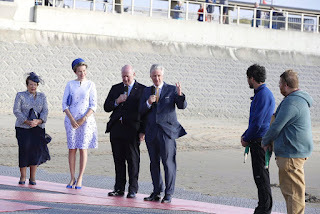 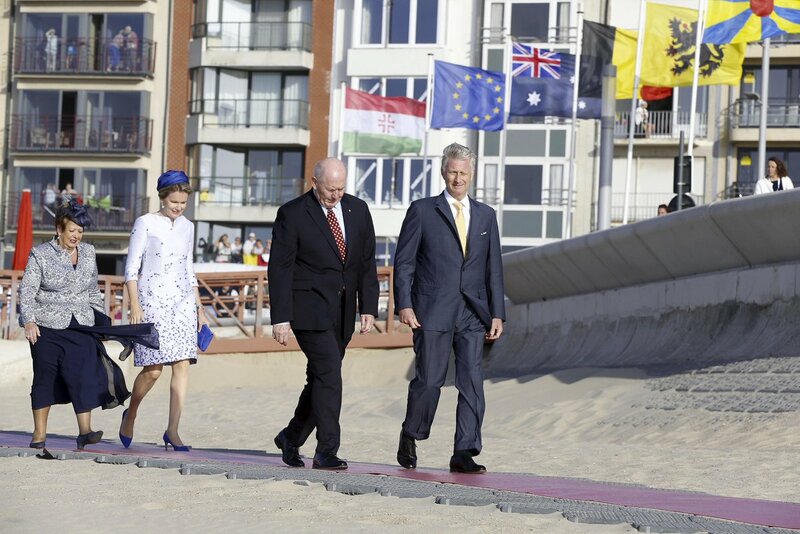 In the evening the royal couple, the governor general and lady Cosgrove attended the WWI commemorative event "Waterfront" in Ostend. 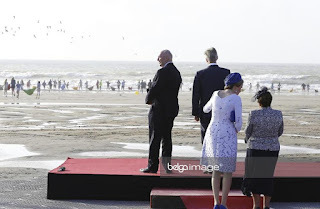 Exactly 100 years ago, the Belgian coast was victim of heavy bombardment when British forces tried to block the occupied harbours of Ostend and Zeebruges. 6000 volunteers made a human chain of 21 kilometers in the North Sea to remember the tragic last fights of the First World War. 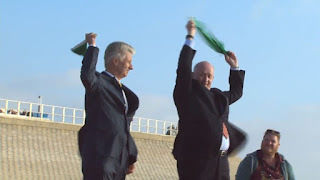 They each wrote a personal message of peace on a small boat. 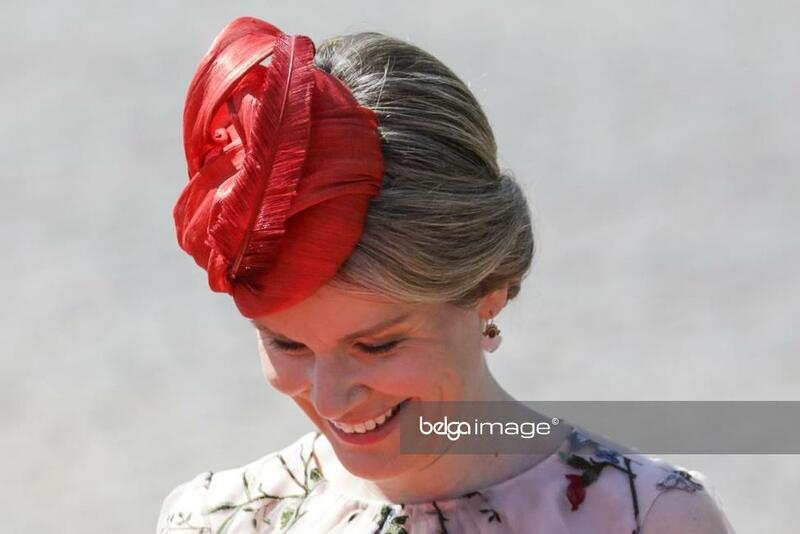 The event was broadcast live on Belgian TV. Afterwards Philippe & Mathilde accompanied Sir & Lady Cosgrove on a visit to Bruges. 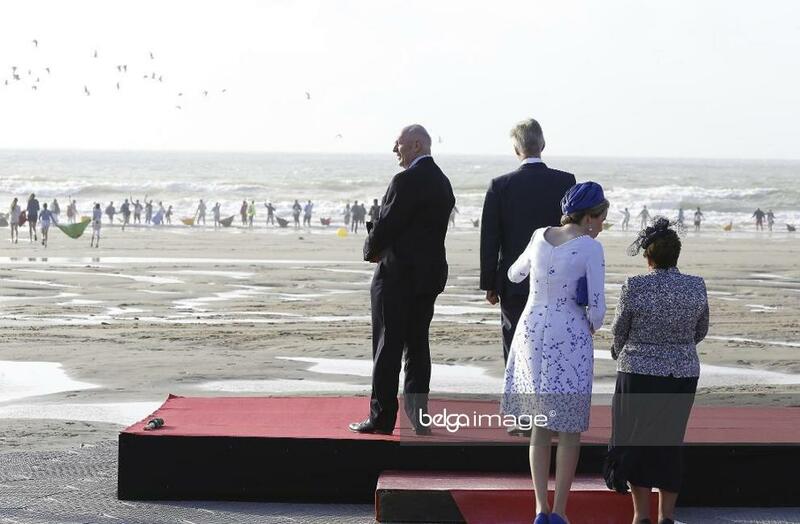 Net gekke politieescorte gezien. 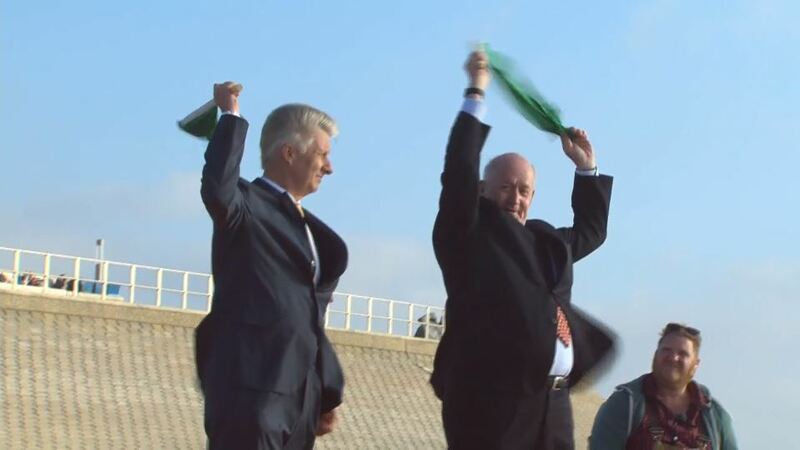 Blijkbaar zijn de Koning en Koningin in Brugge, Bracke was er ook en iemand van Australië.